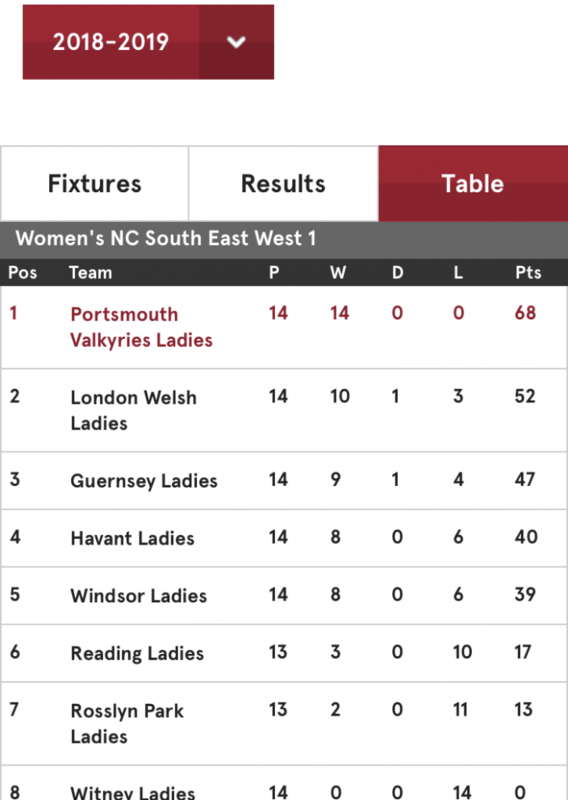 Portsmouth Valkyries, led by Captain Alice Kightley and Vice Captains Charlie Morgan and Bronwyn Jacobs end their season top of the NC South East West 1. 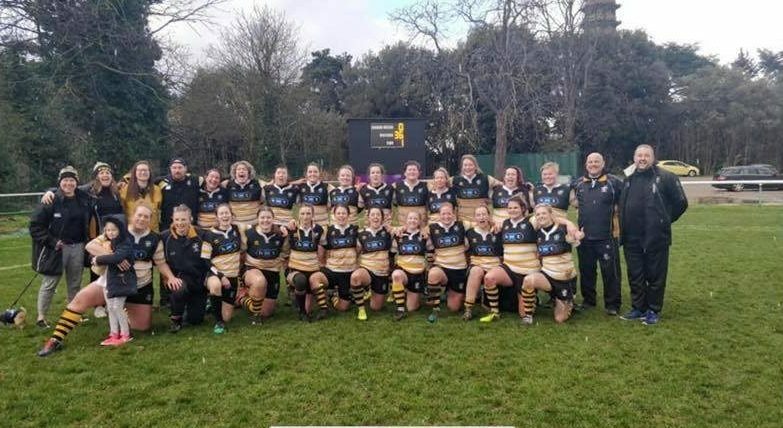 The Valkyries completed the double over London Welsh Ladies by 36-0 at the Old Deer Park to finish unbeaten after a remarkable season and finishing 16 points clear of their nearest rivals London Welsh. 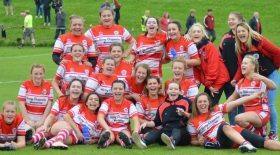 In a fantastic top of the table clash, the Valkyries showed the crowd, that had gathered to watch, just why they have won the league in such style! Such had been their dominance that the league win was achieved after beating Reading 12-0 on 3rd March. 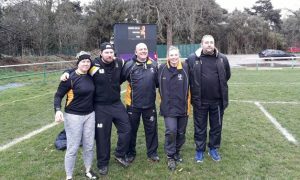 Next up for the Valkyries is a play off match against the winners of NC1 South West 1 at 14.45 on April 7th at a neutral ground…. more details will follow.